Every time I am out with friends or family, I am constantly observing my surroundings and getting new inspiration for new designs. With my background in product design I am able to be more creative and find new ways to improve current designs. 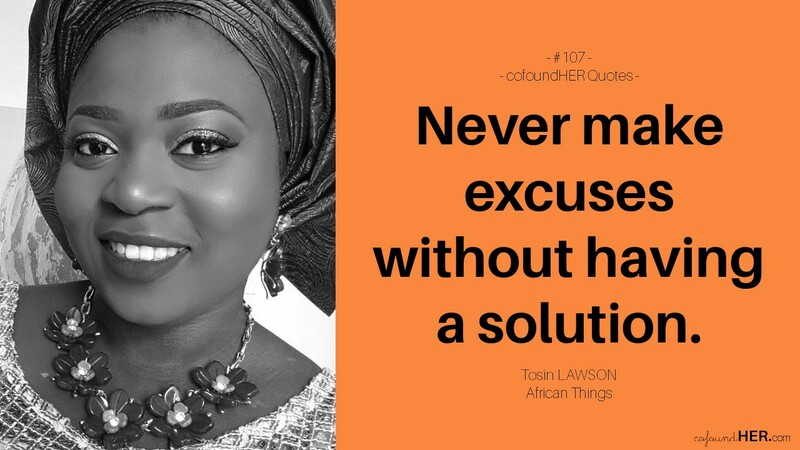 Tosin’s aim is to produce creative designs and solutions that empower Africans and contribute to make the world an easier and more enjoyable place. 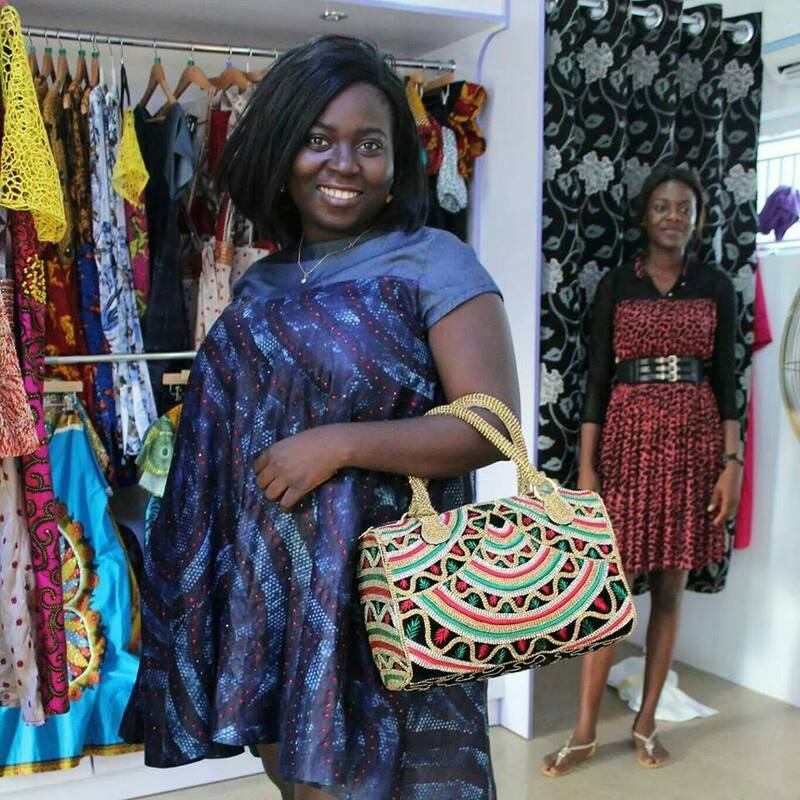 So, in 2013, she started African Things, a company that designs and produces African inspired products focusing on fashion accessories and functional utility products using African fabric and materials. African Things currently supplies wholesale to large retail stores and to tourist shops in Nigeria. What does your company, African Things, do? African Things makes contemporary African inspired lifestyle products that are functional, with innovative designs in a manner that empowers Africans. We aim to change the negative image associated with African manufacture and be a symbol for high quality products while empowering Africans. In your opinion, what negative image do African manufactures have and how do you think we can change the perception? Quality control is one of the big challenges for African manufacturers. We plan to solve this by ensuring we have the right staff and procedures in place so that all our products meet international standards. We also plan to partner with international companies that they can train our staff to know the right international practices. The reason I started African Things was to promote African designs and culture in everyday lifestyle. After schooling abroad and seeing how foreigners saw Africans, as poor and backward, I was very inspired when I returned home and saw that Nigerian fashion design, especially in the area of accessories, was beginning to boom. But I felt I could push the business further to international standards and include lifestyle items such as plates, household furniture and home accessories. Our African culture is rich in tradition, colour and excitement, but due to westernization young people are rapidly losing touch with Africa, especially in their lifestyles. With African Things, customers can feel the connection with their roots by using our products such as backpacks, jewellery and more in their everyday lives without feeling embarrassed to say it’s African. How did you feel when you heard you made the Tony Elumelu Entrepreneurship Program (TEEP) list? I was so excited. I had half forgotten I even applied for it but when I got the email I was at first in disbelief. I remember calling my mother that I had gotten in and she too was in total shock. They had sent a link in an email to a YouTube video of Tony Elumelu himself congratulating successful applicants that they had been selected. I watched that video almost 5 times just to make sure I was seeing what I was really seeing. What was the most difficult part about applying for TEEP? There was a lot to write about and I am not really someone who enjoys writing, but thank God. I have been applying for other business programs such as this one so I had a few write ups done already so it was not too bad. What are some of your business challenges and how do you think TEEP will help address it? My major business challenges have been both funding and knowing what to do next. African Things is about the customers and what the customers wants, and they want a lot of things. Knowing which product to do first or what aspect of the business to focus on has been my challenge. With the help of the programme and with my mentor’s help, I’m sure I will be able to get a good understanding of what to do next and how to do it. I think TEEP will help us get better structure and good business practices. Also, the funds and great contacts we will be getting will go a long way in helping my business further than I imaging. Where do you see African Things in three years? In three years, I see African Things selling wholesale to a number of large outlets around the world including Marks and Spencer’s and Walmart. We plan to set up a franchise where people buy wholesale from us and resell. Any words of encouragement or advice to entrepreneurs like yourself? Believe in yourself and follow your passion. Never make excuses without having a solution for them. Most importantly trust God above all. *To learn more and stay up to date, visit the African Things website and follow them on Facebook, Instagram and Twitter.